A Little Book about Icelandic Elves. Because I had to. If there is one thing about the Icelanders that the foreign media LOVES to chew on it is the fact that we all supposedly believe in elves. And if there is one thing that irks just as many of us here, is the way that elf belief is misrepresented to serve as click bait. These endless articles have become so tiresome and annoying that many of us, myself included, cannot be bothered any more to even try to correct some of the misinformation when it appears in our news feeds. The thing that I personally find most annoying about this sensationalism of the elf belief is the way it turns something that is really quite profound into something trite and superficial. Because, yes, most Icelanders of old did believe in elves and hidden people [terms that are used interchangeably in Icelandic folklore and mean the same thing], and there were reasons for those beliefs. Those reasons had everything to do with their desperate efforts to survive in circumstances that were often heartbreakingly difficult, and nothing to do with the innate “kookiness” of the Icelanders. Consider: you live a life of abject poverty with absolutely no luxury. You are hopelessly oppressed by arbitrary laws and regulations that among other things prevent you from marrying because you don’t have enough money, and probably never will. The house in which you live is filled with bugs, and you have open lesions on your skin from the lice in your bed. By the end of the winter there is hardly enough food to feed everyone, so you go to bed hungry every night, even as you have to expend tons of energy during the day. The Danish overlords have set a trade monopoly so you’re only allowed to do business with their merchants and buy their wares of dubious quality, at whatever price they set. At any moment nature could erupt and wreak havoc on the land. In short, it’s a tough, tough existence, and there is no hope of any of that changing during your lifetime. So what do you do in such circumstances, to keep yourself from marching off the nearest cliff? Answer: you escape into fantasies of a world that exists parallel to your own. In that world there are people who are tall, regal, poised; who live in homes that are luxurious by your standards, with objects made from precious metals, and plush tapestries that you can only dream of. These are the hidden people, who live inside cliffs and hillocks very close to your own abode. Everything about their world is better than yours. Their clothes are more beautiful, their sheep are fatter and give off more wool. They even have supernatural powers. They are pretty much everything you are not. Or consider this: your life consists of back-breaking work, day-in-and-day-out. Perhaps you have small children, but because you have to work so hard you cannot possibly watch them all the time. Perhaps your child disappears one day. It may have wandered off – fallen into a river, or a crevice, or got lost in a sudden fog that blew in. The loss is just too unbearable, and grieving openly is not a possibility when your living quarters are a tiny room that you share with perhaps six or seven other people. So, you construct a story. Your child is not dead – it has been abducted by the hidden people. It is living with elves, and being raised by them in circumstances that are vastly better than those you could have provided. All this and more is the subject of my new book: The Little Book of the Hidden People. I wanted to present the REAL picture of Icelanders and their elf beliefs – not some bastardized version presented by a foreign media that has no context, no depth, no insight into what those beliefs were really all about. The book consists of twenty translated stories of elves and hidden people from Icelandic folklore, and notes on their meaning. In addition, there is a comprehensive introduction that portrays the milieu from which the stories sprung, providing insight into the soul of a nation that used stories as an anti-depressant, as a way to survive psychologically. 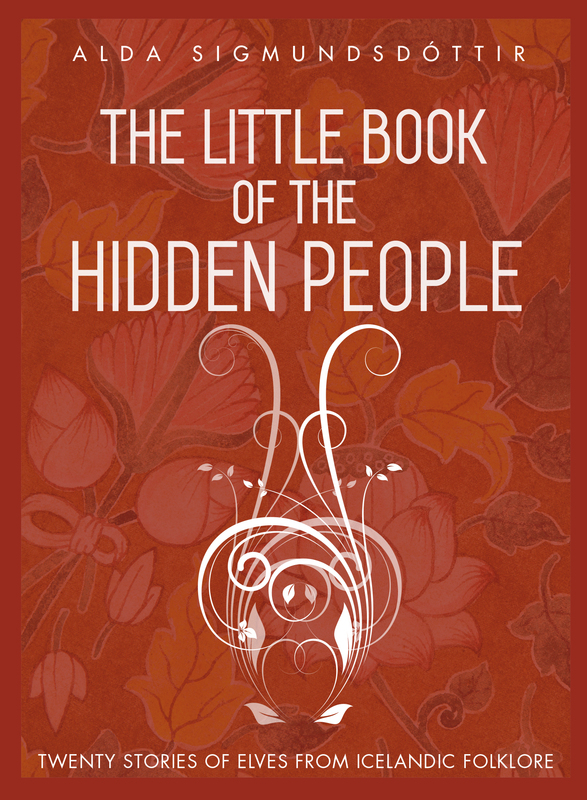 The Little Book of the Hidden People is currently available as a paperback and as an Kindle ebook, both sold through Amazon. It can also be purchased as an ePub ebook here. Near the end of May it will also be available as a hardcover book in shops throughout Iceland. Incidentally, if you are interested in learning more of living conditions in the Iceland of old, you may want to check out The Little Book of the Icelanders in the Old Days.